The network isn’t offering much in the way of details, except to say that series creator Genndy Tartakovsky is involved and will “[continue] the epic story with a new season.” That season, according to TVLine, will run during Adult Swim’s usually anime-heavy Toonami programming block. 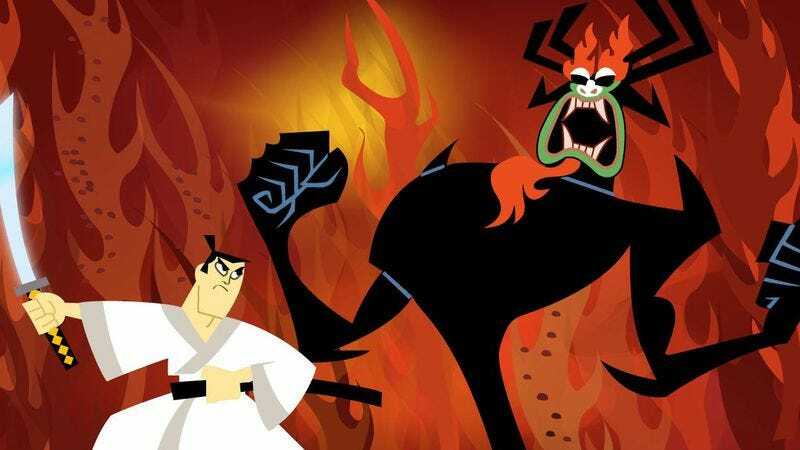 Originally airing on Cartoon Network from 2001 to 2004, Tartakovsky’s ultra-stylized, post-apocalyptic ode to samurai cinema followed the adventures of Jack, a legendary samurai from feudal Japan who is hurled through a time portal and into the distant future by evil shape-shifting demon Aku. Reruns of the series have been airing on Adult Swim since 2014, which makes sense because the show was always appreciated best in—let’s call it a late-night state of mind.